Healthcare organizations are joining hands with community groups to bridge care gaps and deliver needed services. Acknowledging housing is healthcare, 71 percent of community partnerships address housing needs while 70 percent aim to improve access to care, according to respondents to a 2017 Community Health Partnerships survey by the Healthcare Intelligence Network. 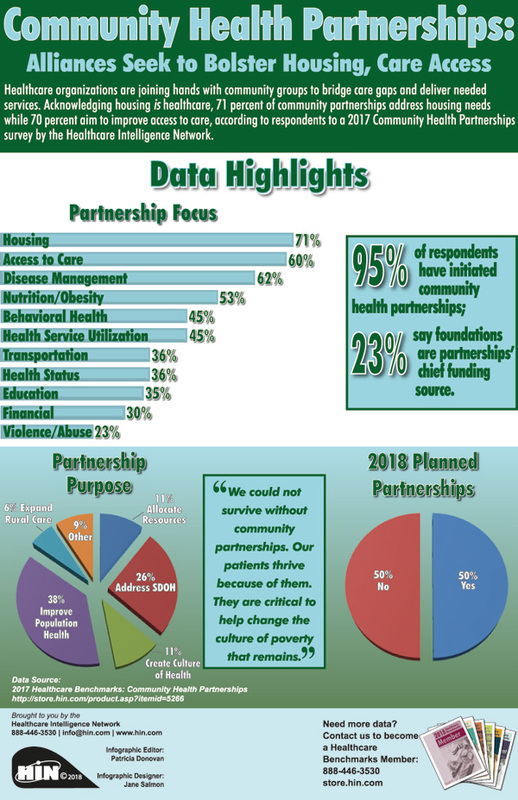 A new infographic by HIN examines the focus of community health partnerships, the leading funding source of these partnerships and common partnership purposes. How do you engage community residents in their health when many are distrustful of and feel disrespected by the healthcare system? Encourage them to both direct and participate in the initiative, advises Charmaine Ruddock, project director of Bronx Health REACH. In this HealthSounds episode, Ms. Ruddock shares what Bronx Health REACH learned early on in its coalition-building from community focus groups, and how this local feedback informed program development. 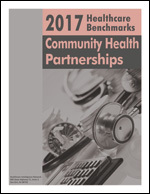 More information on this topic can be found in: 2017 Healthcare Benchmarks: Community Health Partnerships, which documents the efforts of 81 healthcare organizations to align clinical interventions with neighborhood collaborations to improve health, wellness and socioeconomic factors in the populations they serve. These metrics are compiled from responses to the October 2017 Community Health Partnerships survey by the Healthcare Intelligence Network.